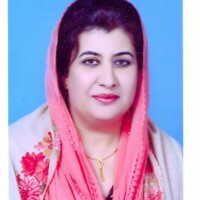 Zareen Riaz is a Member of Provincial Assembly Khyber Pakhtunkhwa from WR-06. Khyber Pakhtunkhwa is a Province of Pakistan. Current Personal Contact: Room No 2-A , MPA Hostel, Peshawar. House No. 375, Street No. 47, Marghala Town, Phase No. 2, Islamabad.